Brighten up your interior spaces and gain convenient, expansive access to the outdoors with the addition of a sliding glass door. 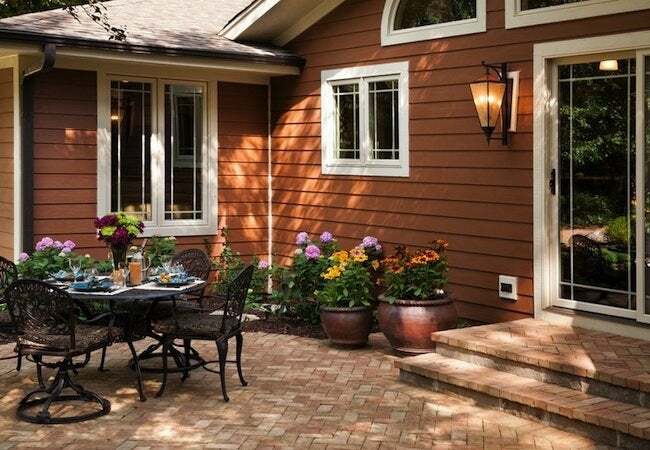 With each passing year, it seems like homeowners spend more and more time outside on the deck, porch, or patio, entertaining friends and family or simply relaxing with a book. Indeed, according to Jim Eldredge, a product manager with Sears Home Services, “It seems like outdoor living has never been more popular.” Even so, Eldredge continues, “There are many ways in which homeowners today aren’t so different from previous generations.” As in the past, most still want to live in a bright, airy environment and enjoy generous views. These similarities between homeowners of today and yesteryear help to explain the renewed popularity of sliding glass doors. Perhaps no other upgrade does so much to satisfy both the current popularity of outdoor living and our timeless desire to feel a connection with nature. Sliding glass doors not only provide physical access out to the yard, but they also invite in the light, air, sights, and sounds of the great outdoors, eroding the boundary between a home and its surroundings. “You get the best of both worlds,” Eldredge remarks. Without sacrificing any of the comfort and convenience you enjoy indoors, you gain a redefined, dramatically closer relationship between interior and exterior space. Continue reading to learn more about the compelling factors that motivate so many to open up their homes with a new sliding glass door. In the past, a sliding glass panel probably held a single pane of glass, but today multiple panes are the norm. To underline the point, Eldredge explains that sliding glass doors installed by Sears Home Services typically boast dual panes, affording a level of insulation similar to that of an exterior wall, at least when the doors are closed. 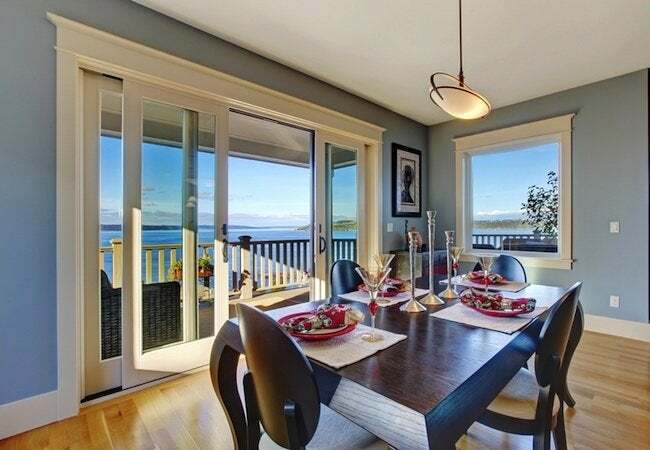 On days when the weather permits, meanwhile, sliding glass doors open up to provide a breath of fresh air, literally. “Homeowners love that,” Eldredge explains. “There’s still nothing like exposure to the breezes and natural conditions outdoors.” But nature can be a foe as well as a friend, taking a toll on a sliding glass door. Which is why Eldredge urges homeowners to take maintenance into account as they evaluate sliding glass doors. 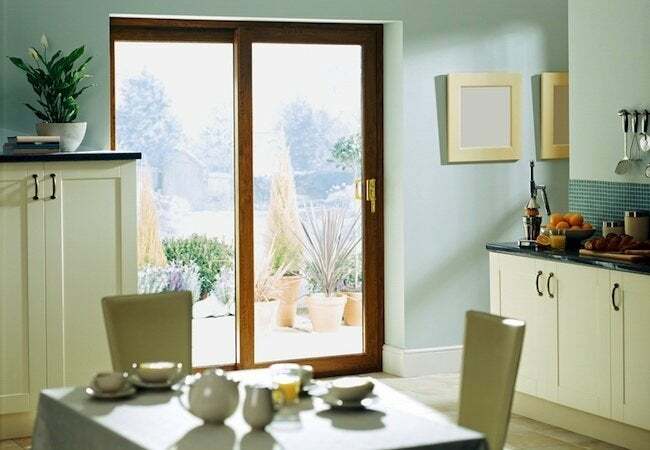 “Unless you have time and energy you can devote to its care, stick with a door that doesn’ t need a lot of attention.” Wood-frame doors are notoriously finicky, requiring at the very least periodic painting or staining. Aluminum “offers easy care at low cost,” but it doesn’t insulate very well. Sears Home Services installs only vinyl-frame doors because, according to Eldredge, vinyl combines “the low-maintenace virtues of aluminum with the insulating capacity of wood.” As it demands only occasional cleaning and resists many of the challenges that threaten other door materials, “vinyl may be your best bet,” Eldredge concludes. While pretty much anyone can understand the tremendous appeal of a sliding glass door and its ability to create lighter, brighter interiors that are better connected to their surroundings, not just anyone has the skills required to install one. This is an undertaking where you really need to know what you’re doing. Even for the most ambitious do-it-yourselfer, installing a sliding glass door can be complicated, labor-intensive, and time-consuming. For most homeowners, therefore, the first step in putting in a sliding glass door typically involves finding and hiring a qualified contractor. You can look for one in your area or get going right away by scheduling a free in-home consultation with Sears Home Services. A nationwide company that’s also a household name, Sears offers a proven, decades-long track record and a demonstrated commitment to quality results. Plus, for your peace of mind, the company always backs up its work with a Satisfaction Guarantee—an assurance that from the earliest stages of the process all the way to final installation and beyond, Sears remains committed to your success. “A home upgrade shouldn’t be a home headache,” Eldredge says. Fortunately, with Sears in your corner, you’ll need to concentrate on nothing more than the benefits of a brand-new sliding glass door. Everything else? “Just leave all of that to us,” Eldredge says.